You can connect DataHero with any of your Zuora users; however we recommend setting up a user specifically for use with DataHero. This will allow you to easily monitor & administer DataHero's connection to Zuora. 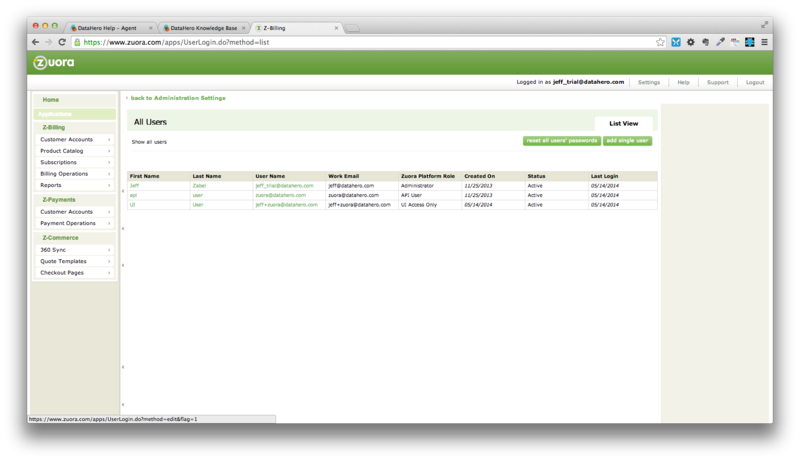 To do so, create a new user by logging into Zuora and going to Settings-> Administration settings. Now go to manage users. 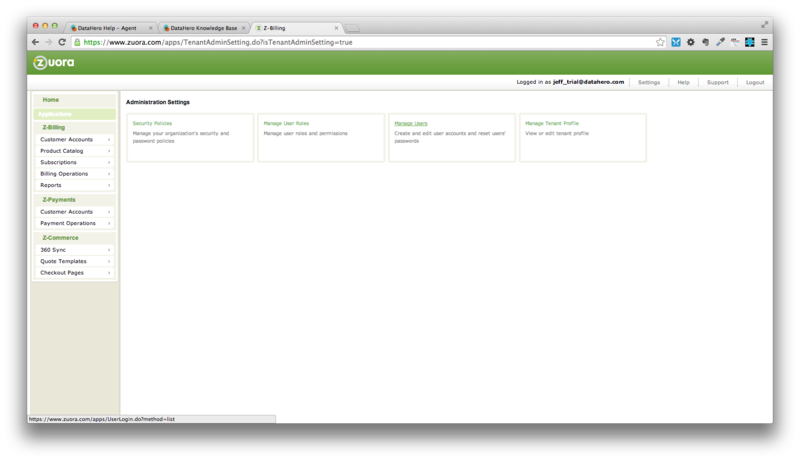 And select to add a new user specifically for DataHero. 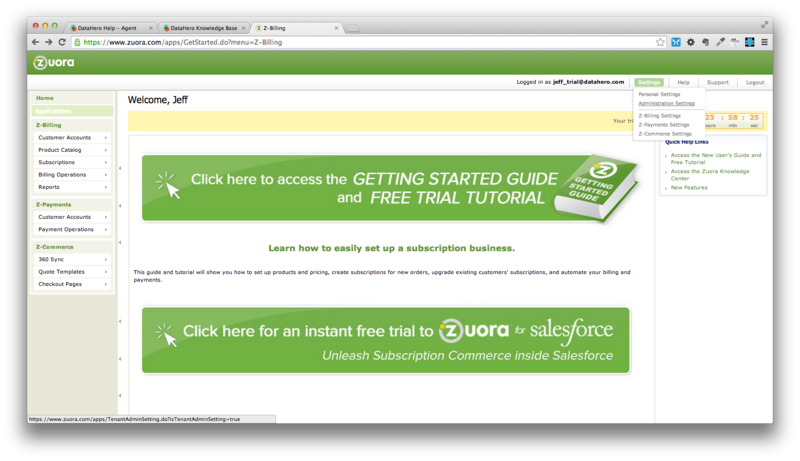 Select to connect to Zuora from DataHero and enter that username and password in the authentication box (detailed directions here).